Description: Wedding bells will be ringing at the 3rd Annual IT'Z YOUR WEDDING SHOW taking place at the Westin Trillium House in Blue Mountain on Sunday, November 27th. Over 50 local vendors are anticipated along with a bridal fashion show presented by Exchanging Vows Bridal Boutique in Collingwood. Dianna met up with Amanda Jerome from It'z Your Wedding Show and Tara Klein from Exchanging Vows Bridal Boutique at Tara's beautiful bridal shop located at 246 Hurontario Street. 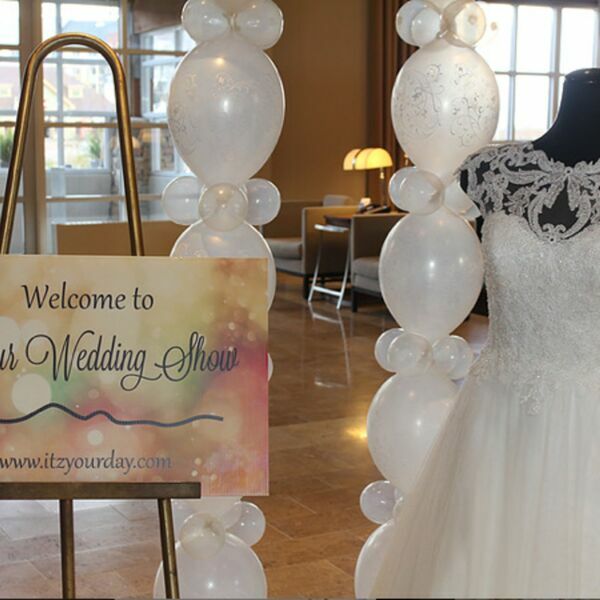 We find out what to expect at this year's "It'z Your Wedding Show" and also what are some of the latest trends in wedding gowns. BEACH CORNER from Beach BOOSTER Radio is available ON DEMAND anytime on any device. Please enjoy & SHARE! Wedding bells will be ringing at the 3rd Annual IT'Z YOUR WEDDING SHOW taking place at the Westin Trillium House in Blue Mountain on Sunday, November 27th. Over 50 local vendors are anticipated along with a bridal fashion show presented by Exchanging Vows Bridal Boutique in Collingwood. Dianna met up with Amanda Jerome from It'z Your Wedding Show and Tara Klein from Exchanging Vows Bridal Boutique at Tara's beautiful bridal shop located at 246 Hurontario Street. We find out what to expect at this year's "It'z Your Wedding Show" and also what are some of the latest trends in wedding gowns. BEACH CORNER from Beach BOOSTER Radio is available ON DEMAND anytime on any device. Please enjoy & SHARE!